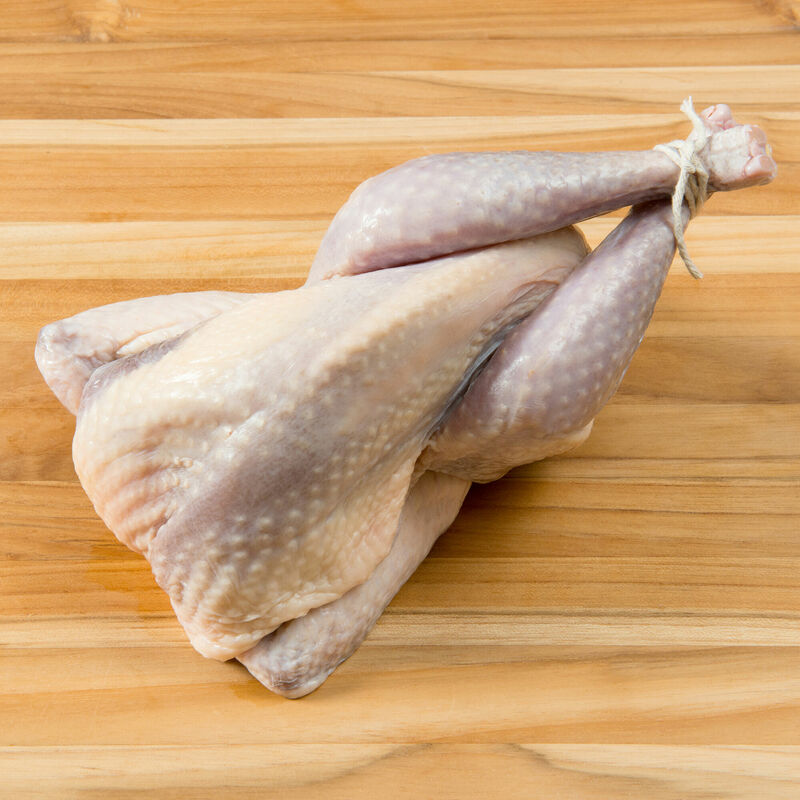 Guinea hen humanely raised on a small farm in California, with no added antibiotics or growth stimulants. Cage-free conditions and a wholesome grain diet contribute to the high quality and great flavor of these birds, which are air chilled for best flavor and texture. The guinea hen is somewhere between a pheasant and chicken; darker, leaner and slightly more delicious than either. D'Artagnan guinea hens are humanely and naturally-raised on a small poultry farm in California. The farmers obtained the highest-grade French breeding stock to establish their flock nearly 30 years ago. And they continue the proud tradition of quality here in the United States. The cage-free guinea fowl feed on corn, soy, and wheat alfalfa and no antibiotics or hormones are ever used. From breeding to processing, the farm is dedicated to producing birds of distinction. To that end, the birds are air-chilled in processing, a technique that helps preserve the texture and flavor of the meat, and does not trap unwanted water in the skin.